L-R: Jeff Morrow, Kayla Hataway, Jessica Procell, and Beverly Sumner. 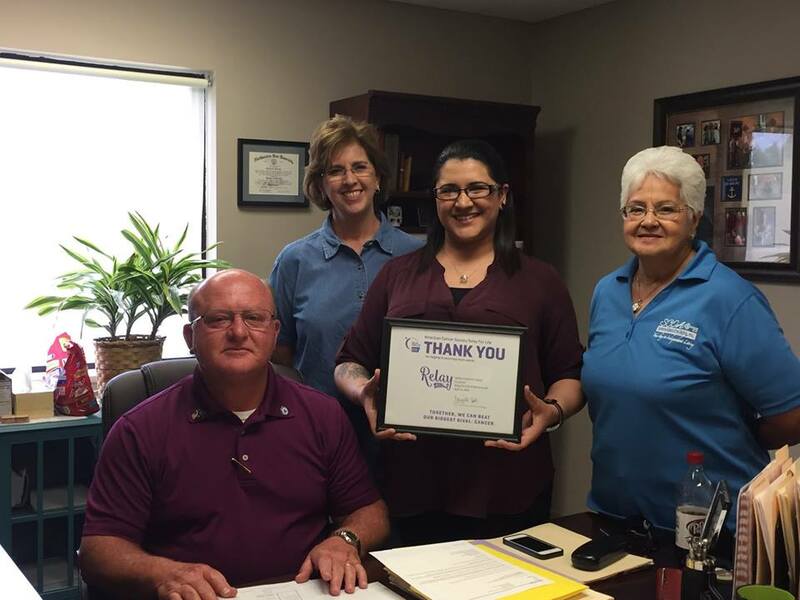 The SCOA was honored to be part of the Sabine Relay for Life 2018. We raised a total of $1,210.50. We would also like to thank Dorthy Alford for donating her beautiful Dresden Plates quilt that we raffled off.